If the great outdoors is calling out to you, then breathe in the fresh air of the Bayfield Peninsula in Wisconsin. Then, take your wanderlust a step further and blend into the environment. For a more immersive experience, you can opt to rent a vacation home. It will usually cost a lot less than a hotel booking, saving you money. But before you look for a vacation house to rent, here are a few things to keep in mind for a worry-free getaway. What are the activities that you would like to do while staying in the South Shore? Would you like to go fishing or hiking? Will you be spending a fair amount of time indoors or will you be out and about for the most part? You must plan ahead in order to properly search for a place that conforms to your planned schedule and answers many of your needs. Indeed, location, location, location is key. Unlike the uniformity of a hotel room, you will find that rental homes are a mixed bag of unique interiors. In addition to looking for a place that appeals to you, you should also check out the rental conditions. Do you agree to the terms? Are the house rules acceptable to you? If you have other questions, call the homeowner. Always be open when communicating as you are both entering a business transaction. When travelling out of town, one of the important aspects to consider is how to get there. Will you fly or drive out? If you fly, check out car rentals in the area should you need one. If you’re bringing your own car, check for parking accommodations. Also, find out if you can get to the places you’d like to visit on foot. How accessible is your rental vacation home? Are you on the touristy side of the place or tucked away in a quiet village? Check if there are grocery stores and restaurants nearby. If you’re vacationing with a rowdy bunch, keep in mind that as guests, you and your companions have to adjust to your new environment. Refer to your online map and plot out the important places before heading out. You don’t want to waste your vacation hours getting lost while searching for the Old Bayfield County Courthouse or the Blue Vista Farm. Ask the homeowner if you can call them in case of, say, a clogged drain or faulty lights. Ideally, it’s the homeowner’s task to make sure everything is spick-and-span upon your arrival, as well as seeing to it that all the fixtures and appliances are in good working order. Before you sign your rental contract, ask the homeowner for their contact details in case of an emergency. If you’re looking to explore the charms of Bayfield, WI – from the shores of Lake Superior to the historic downtown area – and the fascinating Apostle Islands, the Bayfield Chamber Of Commerce & Visitor Bureau has you covered. Visit their website to book your vacation home rental or any other lodging of your choice. As with all things, preparation is key. Once you’ve gotten these tasks out of the way, then you can start your relaxing vacation. 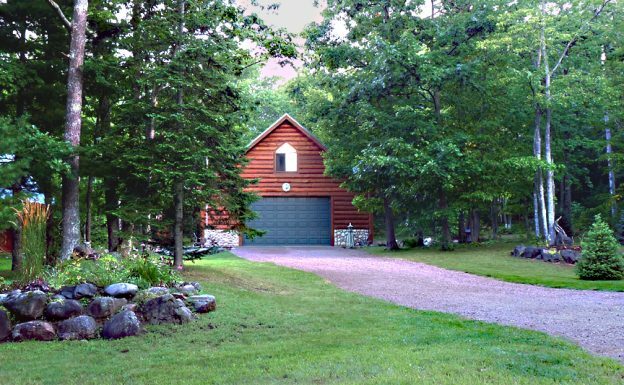 If you’re interested in a permanent home in the Bayfield and South Shore area, please explore this website.For inquiries, call Windseeker Realty LLC at (715)779-5000 or email Agent(at)WindseekerRealty(dotted)com.